MOSCOW (Sputnik) – The destruction of a Russian jet by Turkey indicates an "extremely two-sided" stance adopted by Ankara in the fight against terrorism, retired French General Dominique Trinquand told Sputnik on Wednesday. 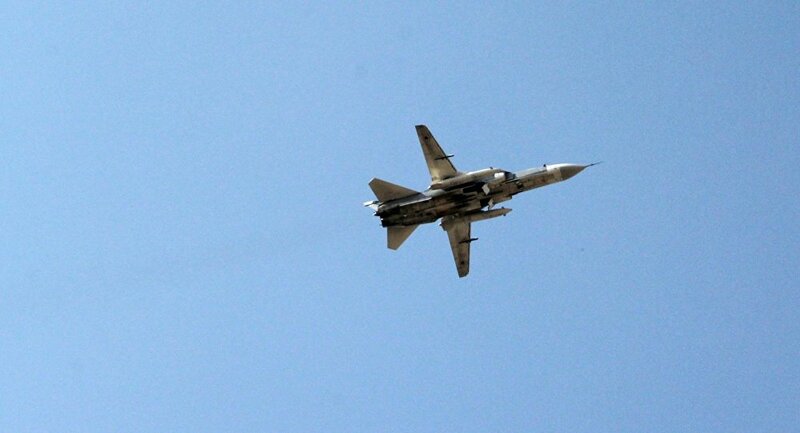 On Tuesday, a Russian Su-24 jet crashed in Syria. Russian President Vladimir Putin said that the plane was downed by an air-to-air missile launched by a Turkish F-16 jet over Syrian territory, falling 2.5 miles from the Turkish border. "The fact of the destruction of the Russian aircraft in a certain way indicates escalation; the Turks were the first [to shoot down the Russian jet] and I do not think by accident," Trinquand said, classifying Ankara’s anti-terror stance following the attack as "extremely two-sided." Trinquand, the former chief of the French military mission to the United Nations, further questioned the intensity of Turkey’s campaign against the Islamic State (ISIL) jihadist group as part of the US-led coalition. "[Turkey] is either not fighting ISIL at all or very little, and does not interfere with different types of smuggling that takes place on its border, be it oil, phosphate, cotton or people," he stressed. Russian Foreign Minister Sergei Lavrov named the downing a "planned provocation." Putin described the Turkish attack as a "stab in the back" carried out by "accomplices of terrorists."